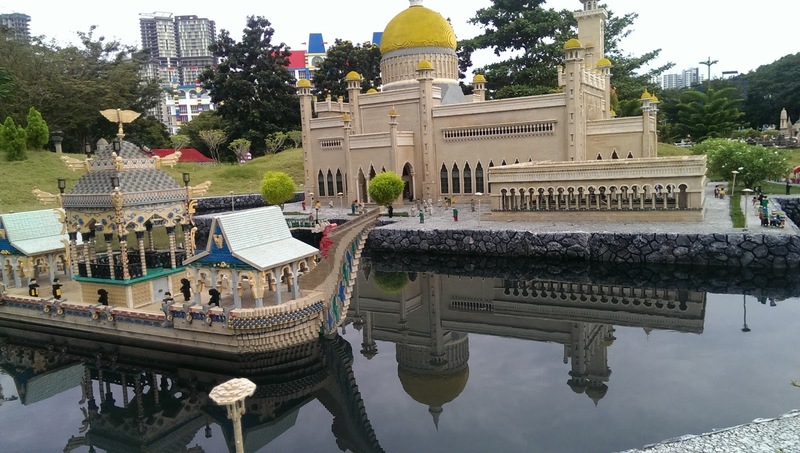 Things to Do in Legoland in 1 hour ! 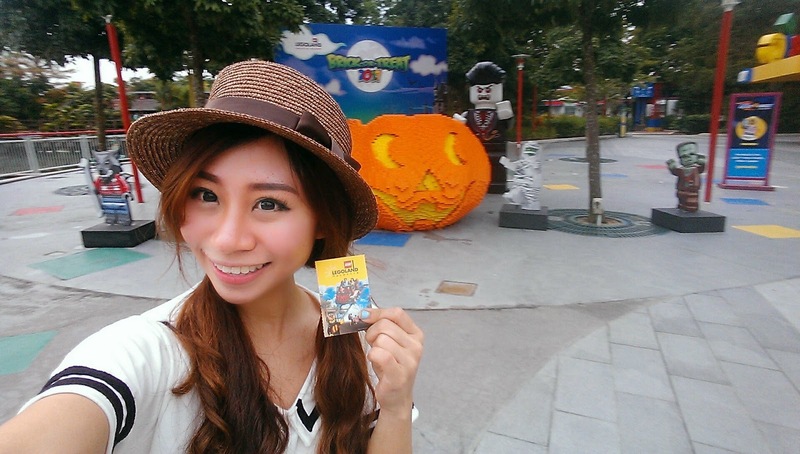 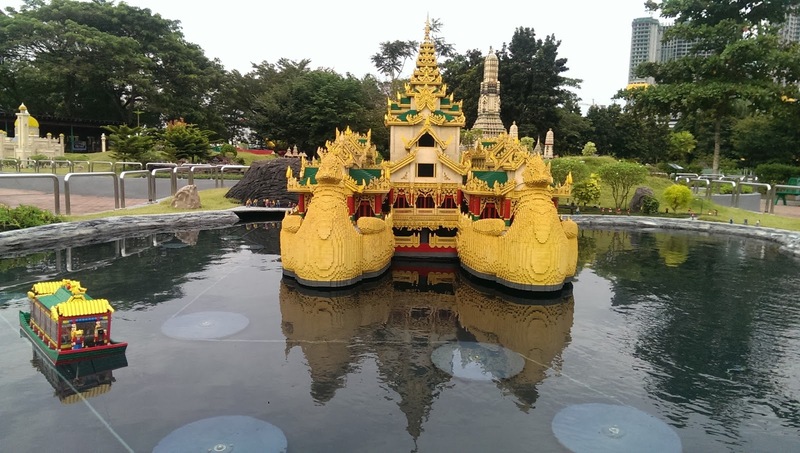 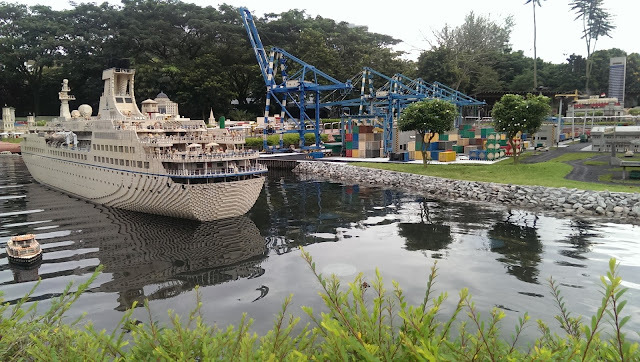 Well, if you have no time but Legoland is still in your bucket list, you can still spend a fast quick hour in Legoland ! 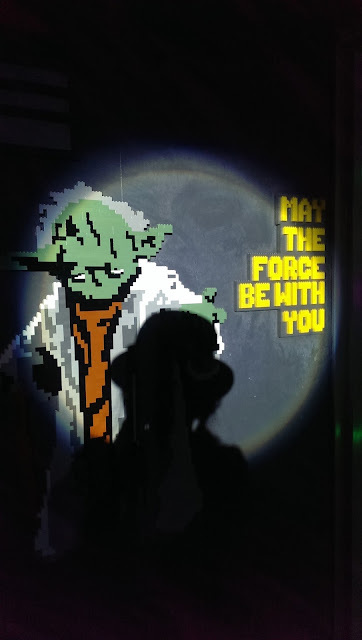 However, i must warn you that it would be quite tiring and a non stop selfie sessions for you all selfie queens and kings out there. 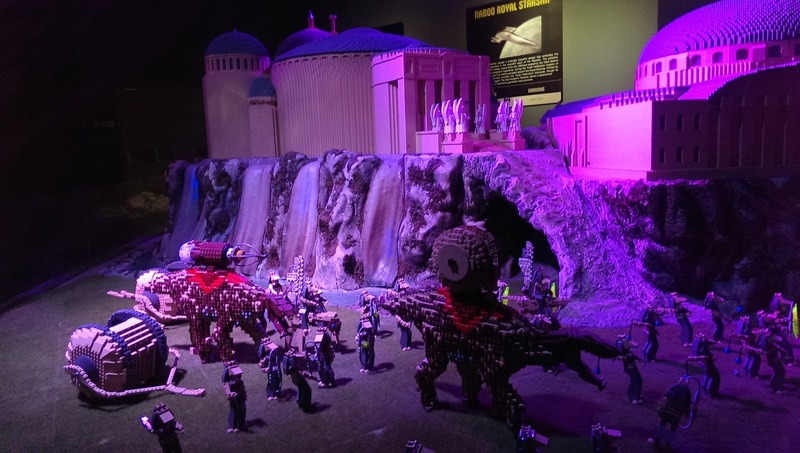 We bloggers only had half an hour in Legoland ! Well, I must say I am still quite satisfied on what I have seen in Legoland so far but my only regrets were that I didnt even get to try any roller coaster. However, for those roller coaster ride peeps, do remember to arrive Legoland earlier as those rides closes earlier than the kids rides. 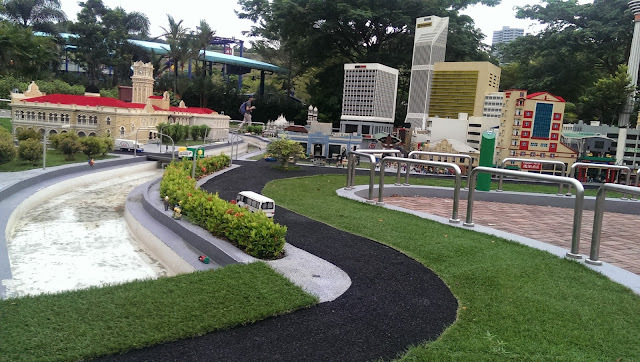 So, upon entering Legoland, I was informed that straight ahead would be the mini legoland world, one the left is Adult roller coaster rides, Right is the kiddy rides. 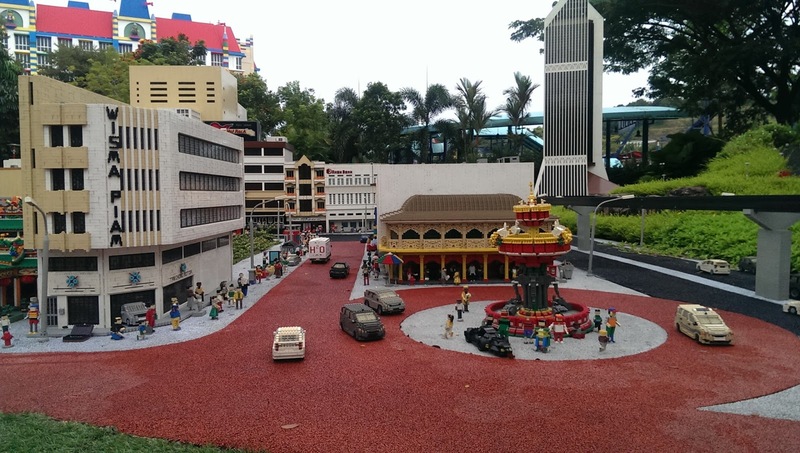 I had been always wanting to the mini legoland world and was expecting something more normal and boring. 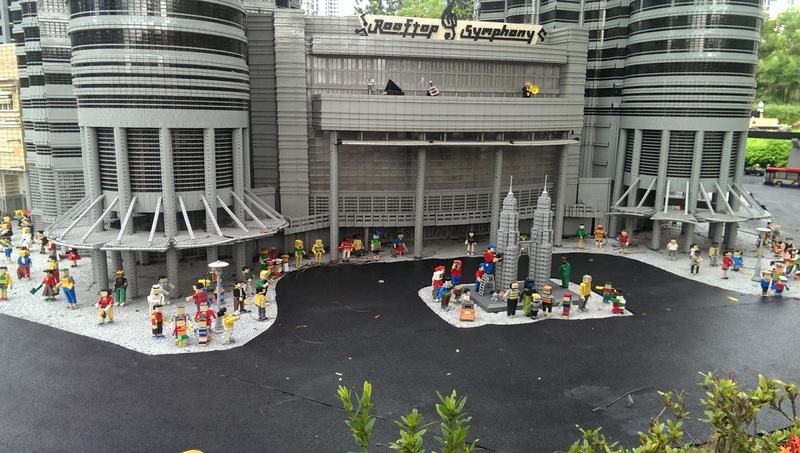 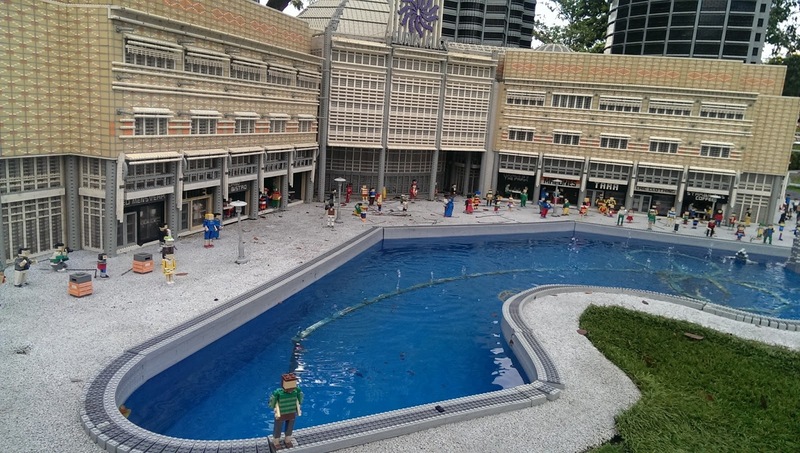 Yet, Legoland miniworld amuses me with the intense details they have built of our own KL city centre where I live all my years. 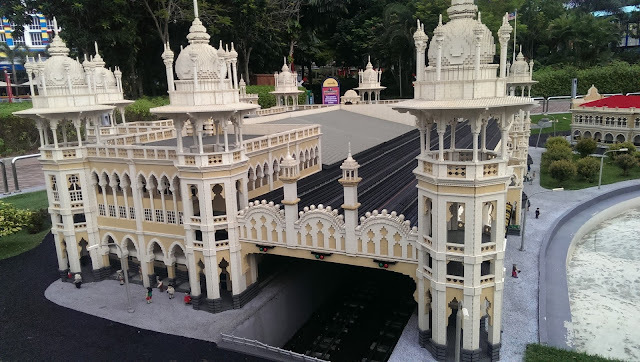 I used to study nearby this area so I am quite impressed with the detailing in building this and faking the brand names. 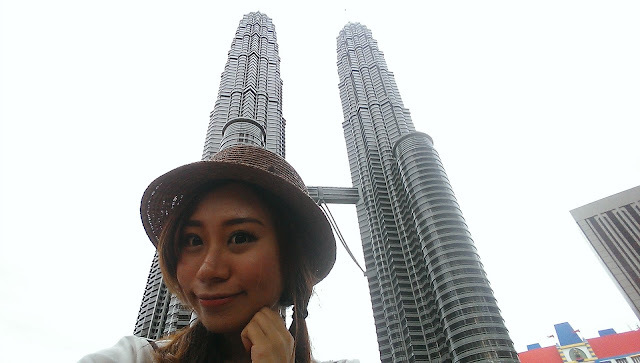 Like for instance, a picture like this looks like the real Petronas Twin Towers back in KL ! 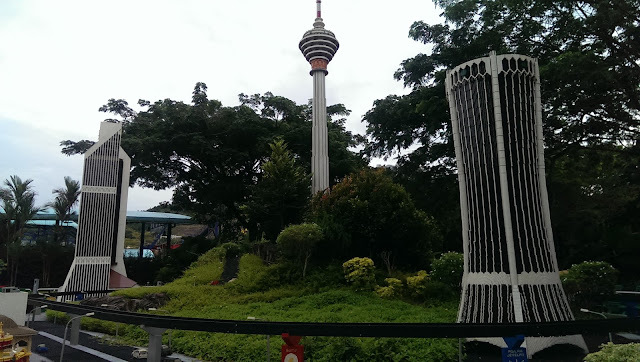 But the background sound of the environment which is similar to when we are walking in KL. 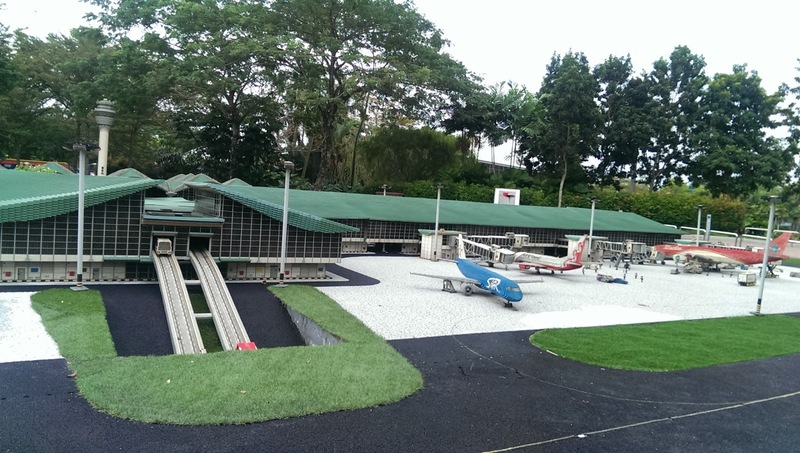 Like the airport in LCTT, you will be passing by hearing airplane sounds thinking that there is an airplane nearby but all u see would be these planes. 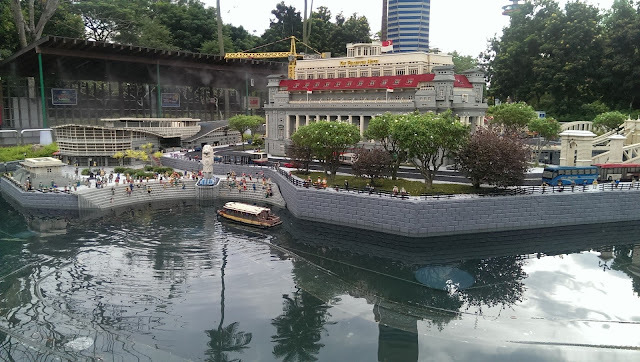 The boats are moving on the water, some cars or trucks are moving around and so are the planes. 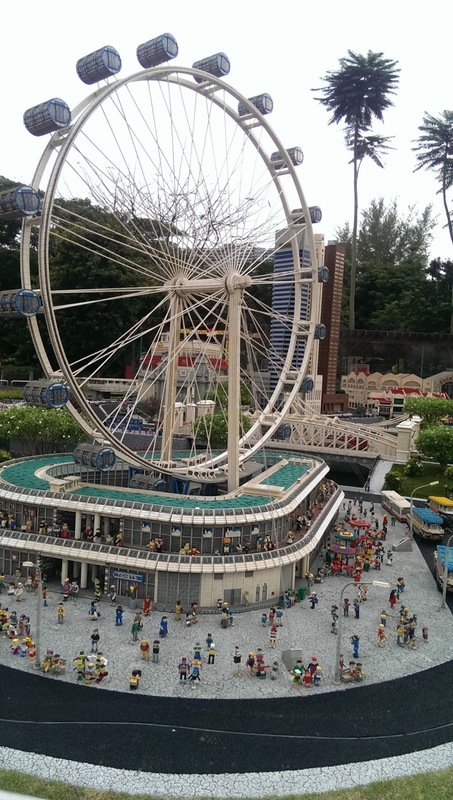 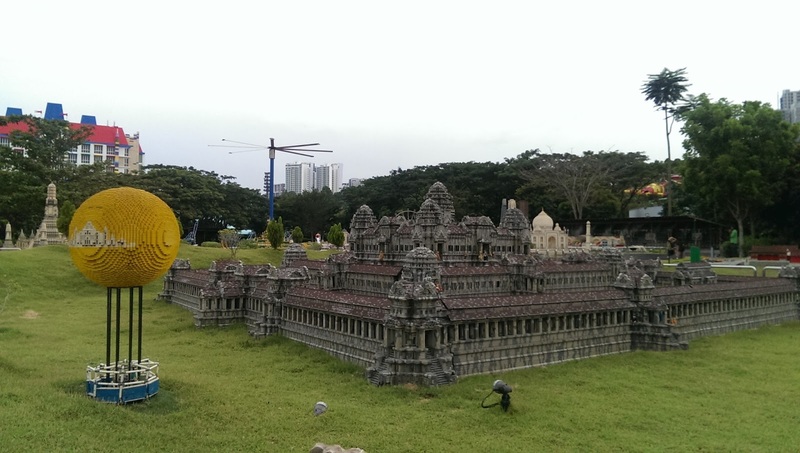 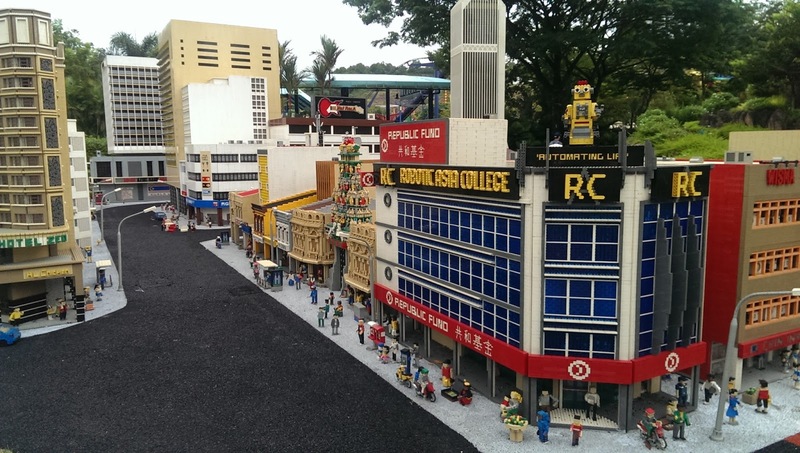 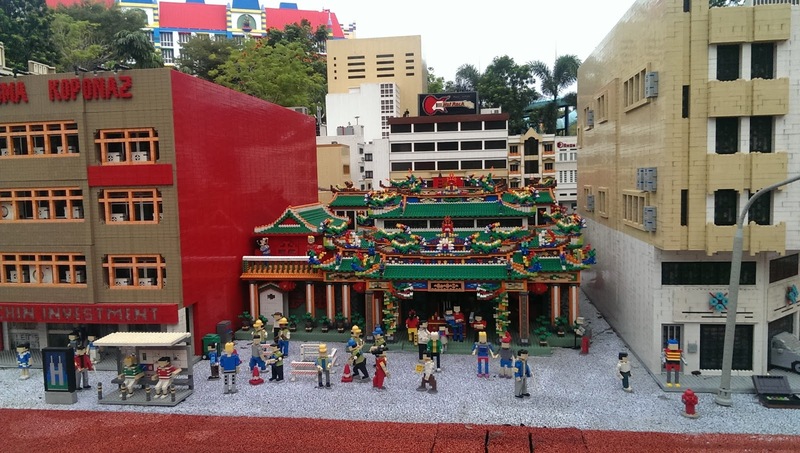 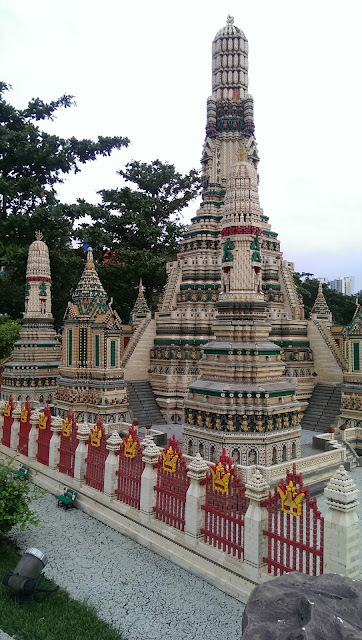 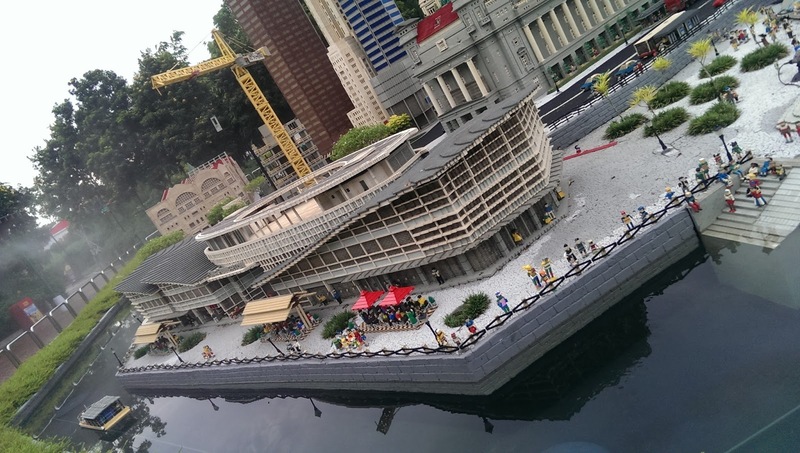 Well, they do have Singapore in this mini world of Legoland as well. Watch out, the crane moves ! 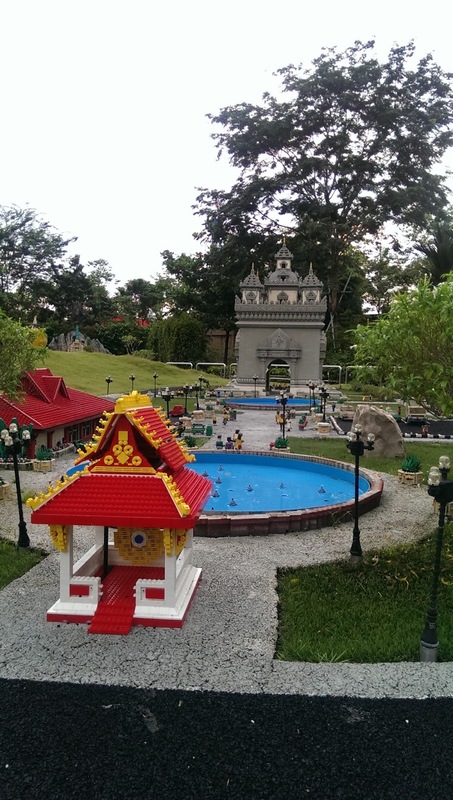 The mini legoland brings you to the famous destinations of another country like Vietnam Hoi An. 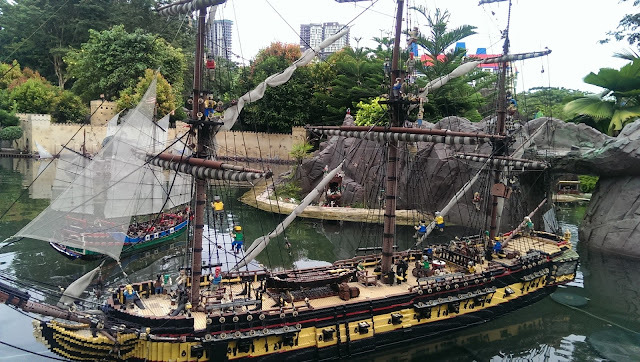 And Even Pirate or Fantasy land ! 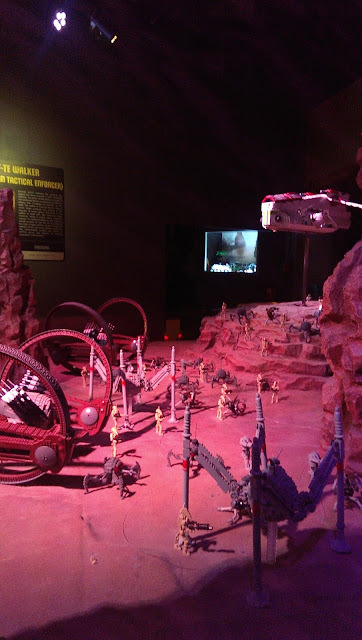 I was flabbergasted while passing by here and heard a war zone sound. It sounded like canon blast and there, they had water canon shooting out of the walls! 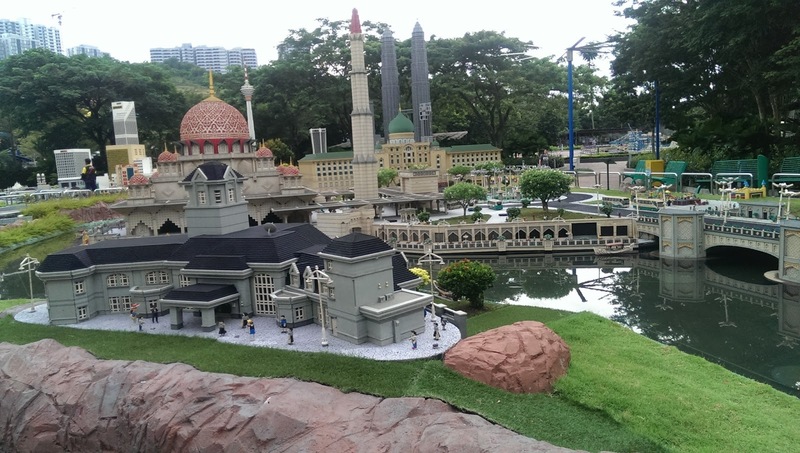 It was one of my most favourite mini Legoland part of all. 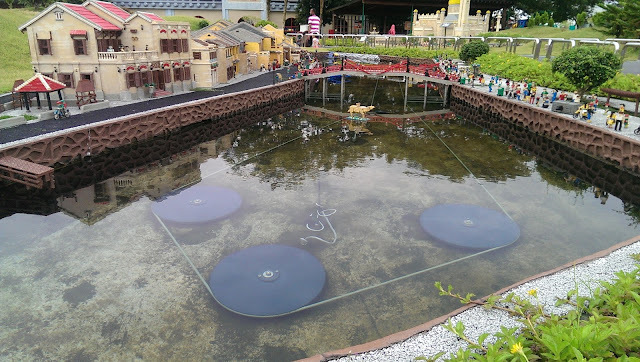 I am suspecting the movement of the boats are directed by the metal things beneath. 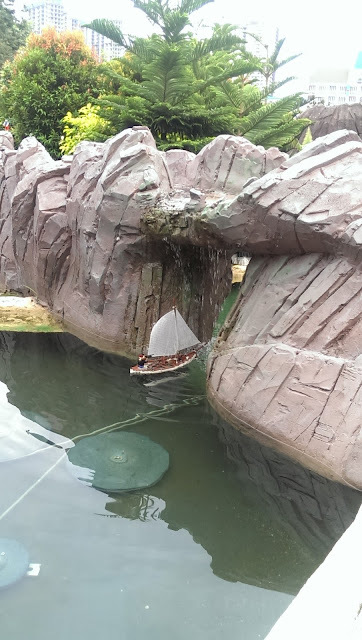 This sail boat will even sail through a mini waterfall which is just so cool ! 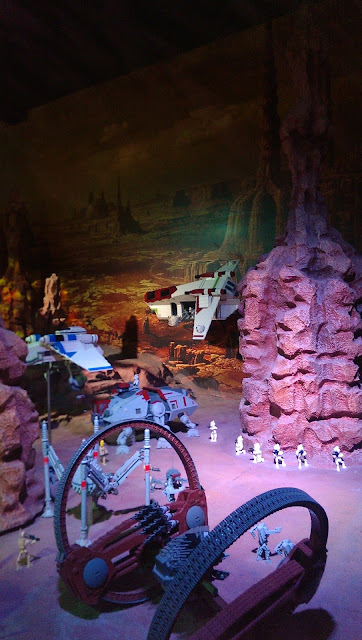 Apart from that, I got to finally check out the Lego Star Wars zone ! 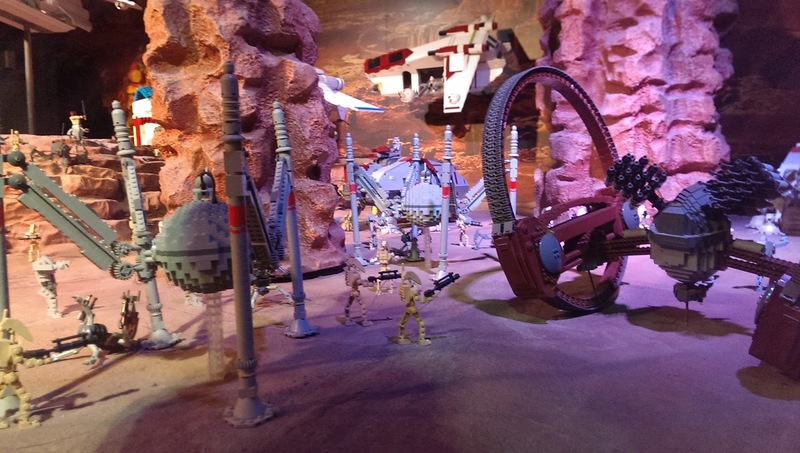 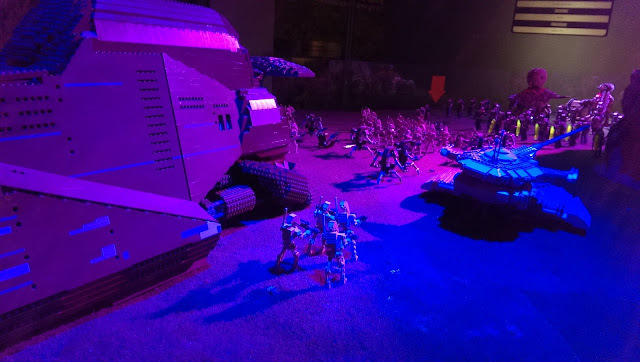 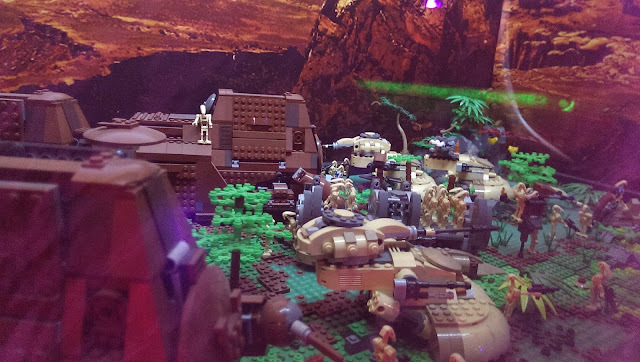 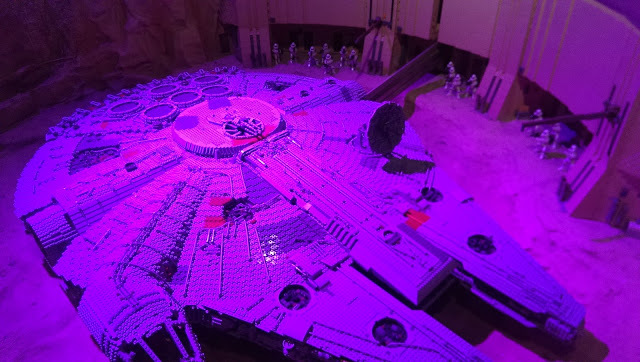 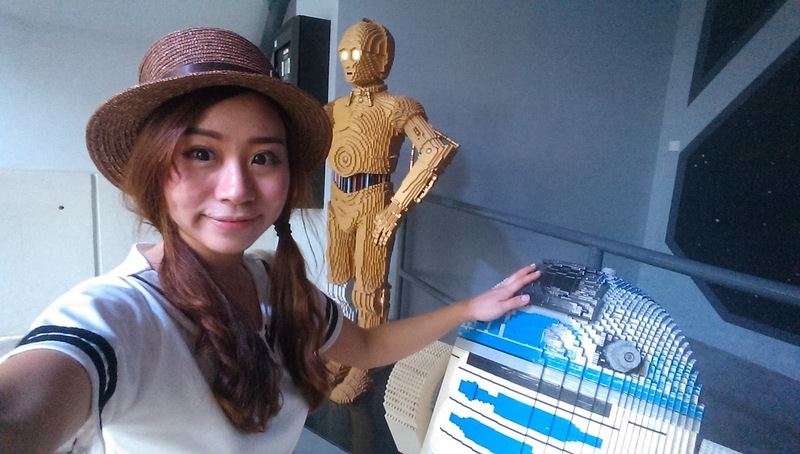 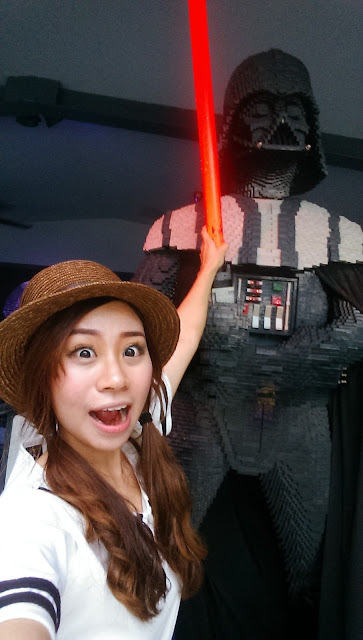 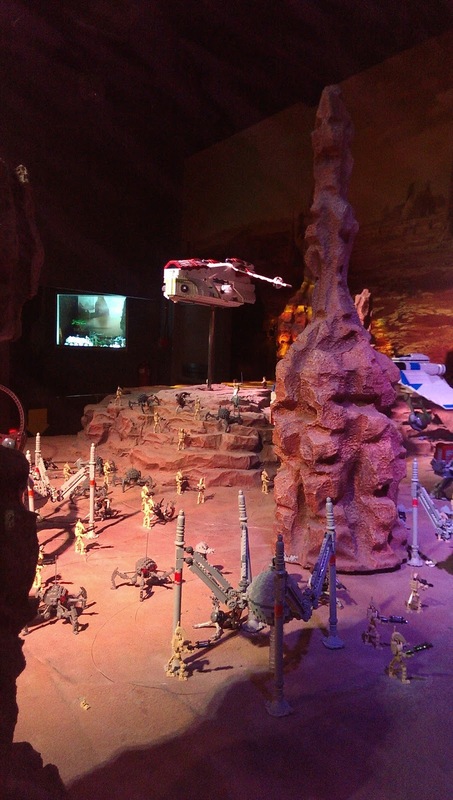 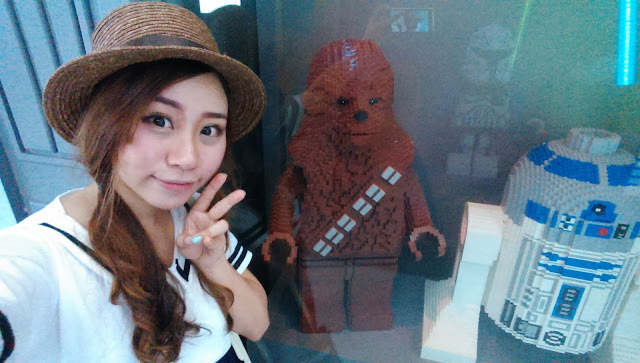 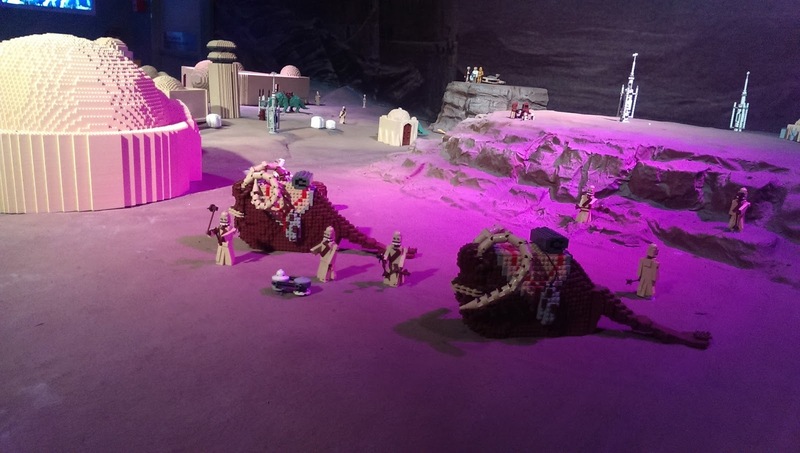 For Star Wars fan, Legoland StarWars here in Johor is really awesome ! 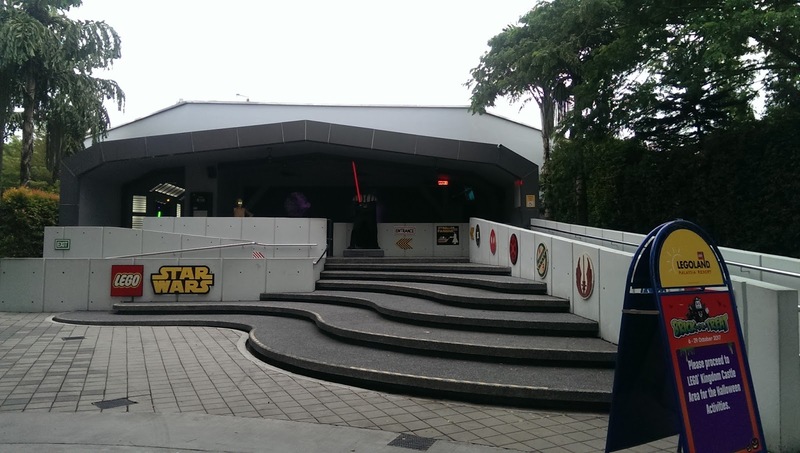 Be prepared to be stoked by the huge Darth Vadar welcoming you! 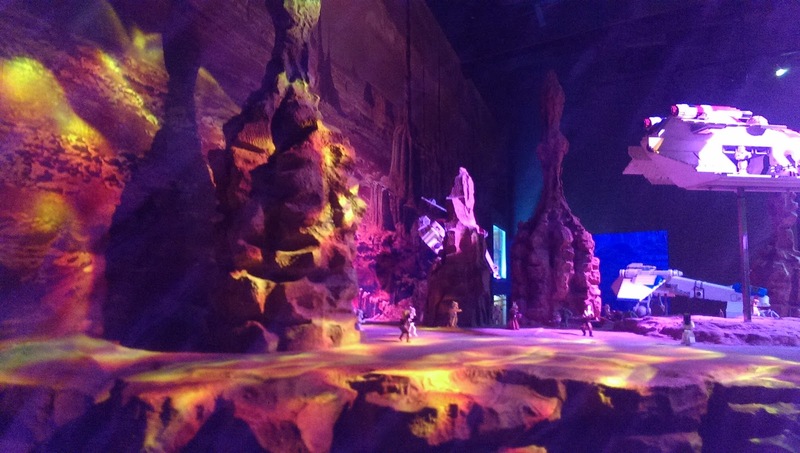 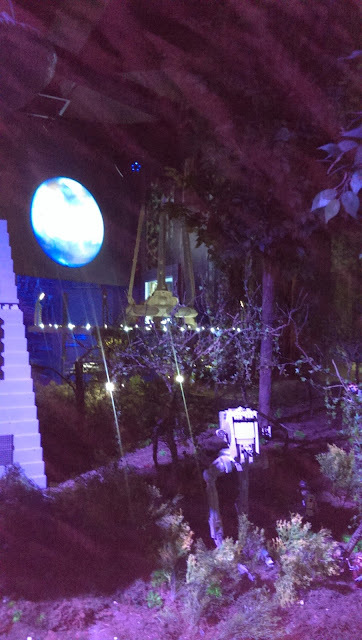 There would be an animation show in their teater before your enter into the exhibition hall. Well, I was more impressed with every different hall zone whereby they would have different stage inspired from the Starwars movie since the first till the latest ones. 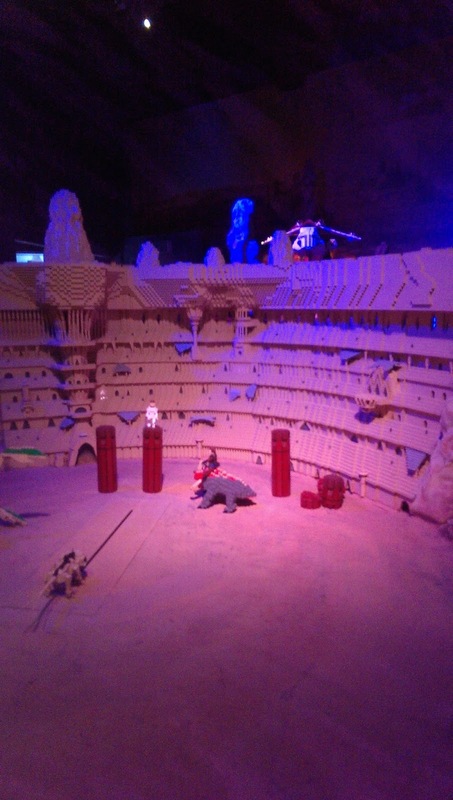 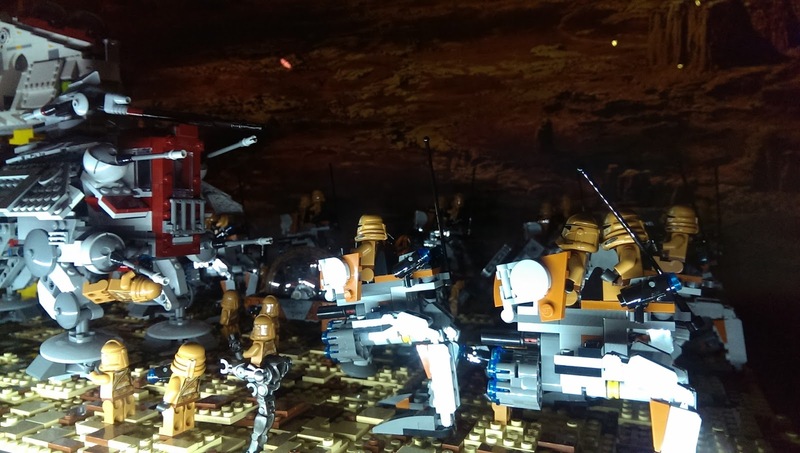 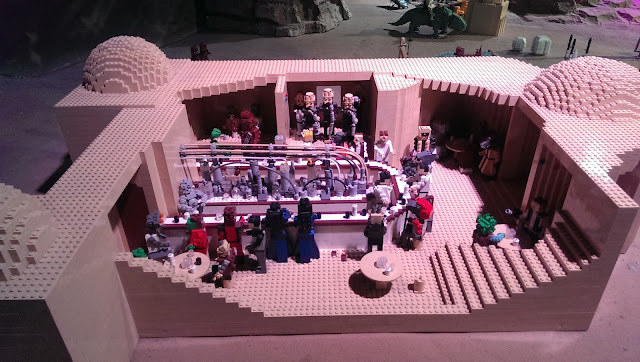 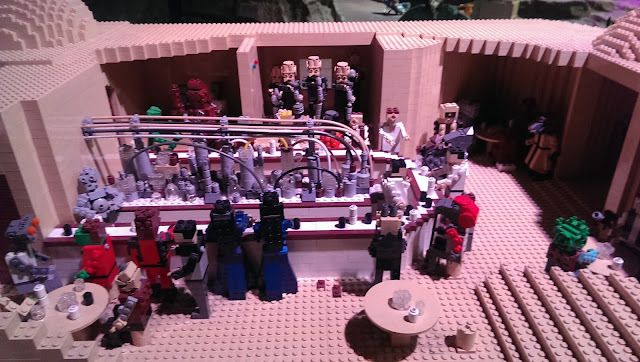 Do you recognize which Starwars episod movie is this scene from? 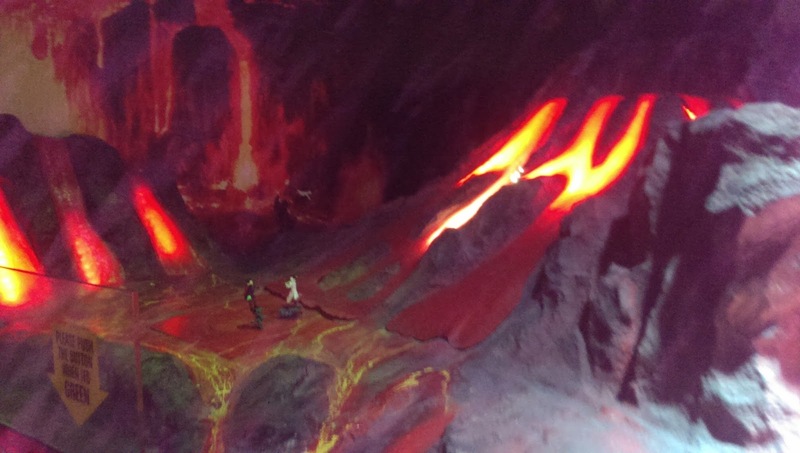 I like the lava scene a lot you can even see the lights fickering as if its like in the movie. Finally at the exit ! 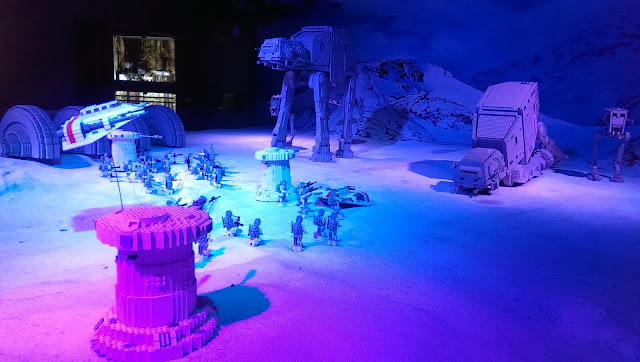 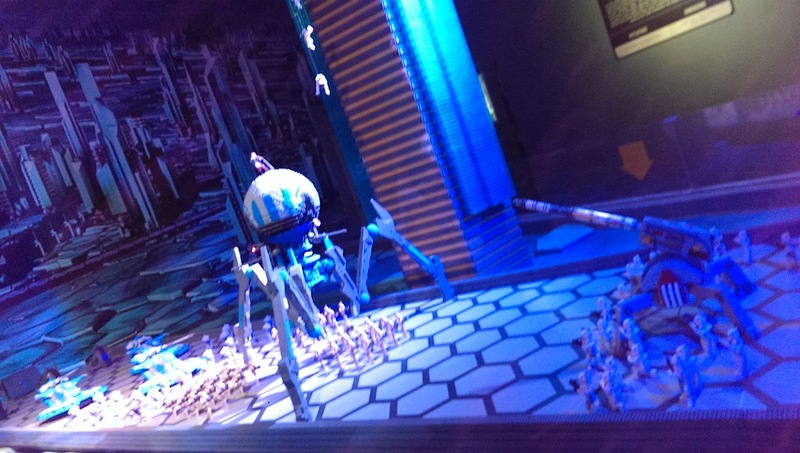 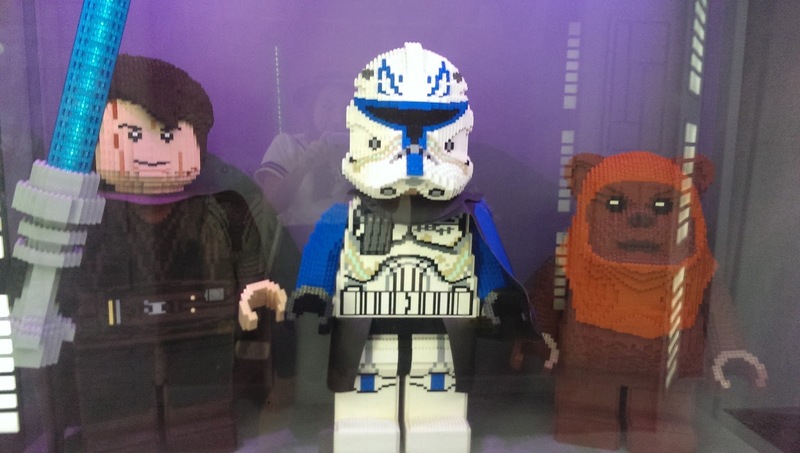 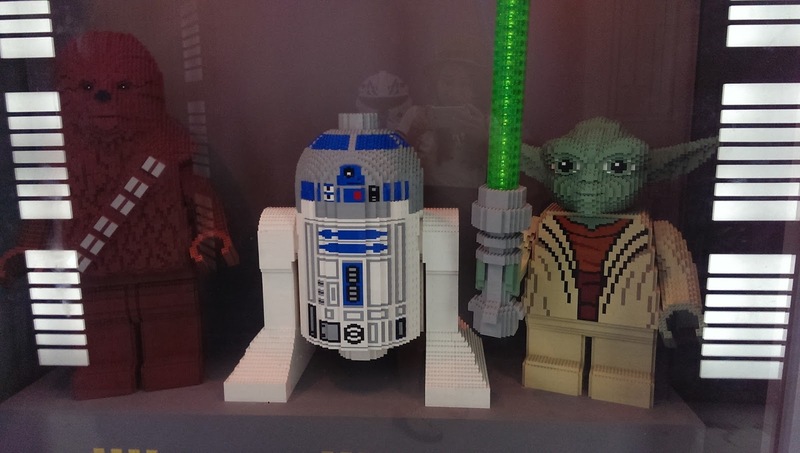 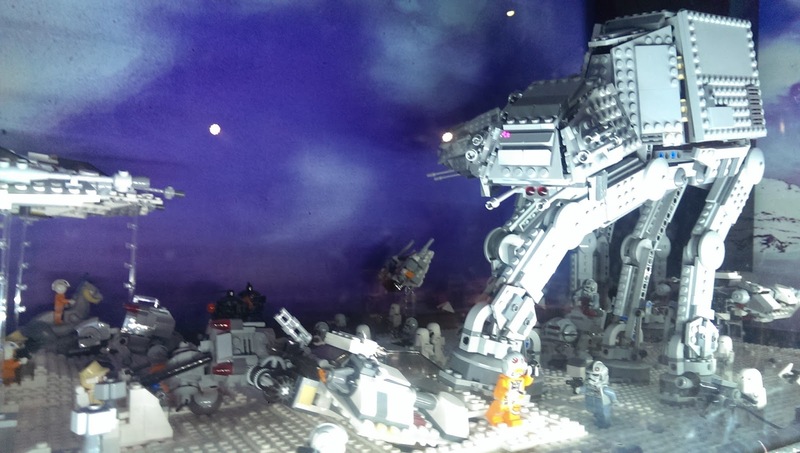 And that was the last part of Legoland I got to see Chewbacca and R2D2 in Display and I hope you guys enjoyed the picture. 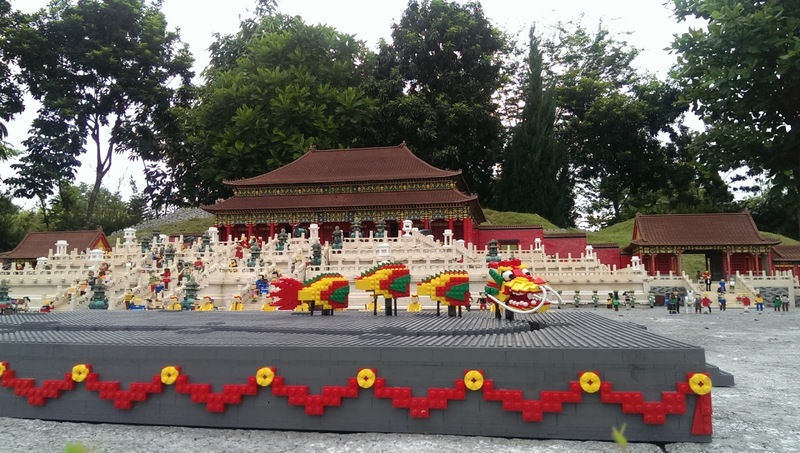 Dont forget to book your tickets online as it would be much cheaper !